This page has publications relating to the practice of MOL or the theory underpinning it (or both). Copies of all of the papers and book chapters are available on request. Books can be obtained through www.amazon.com. Carey, T. A. (2002). Rebecca: A case study application of perceptual control theory. Psychotherapy in Australia, 8(3), 56-59. TIM CAREY describes what therapy might be like when it is informed by the principles of Perceptual Control Theory (PCT). PCT offers an understanding of the activity of living that is quite different from many current ways of conceptualising human activity. To highlight the differences a case study is provided of a 19-year-old woman who presented with depressive symptomatology in the extremely severe range. After four therapy sessions the woman’s symptoms were in the none to minimal range and were maintained in this range at a ten-week follow up. The implications of applying PCT to therapeutic practices are discussed. Carey, T. A. (2005). Can patients specify treatment parameters? Clinical Psychology and Psychotherapy: An International Journal of Theory and Practice, 12(4), 326-335. In this paper I provide data that were obtained when patients made decisions regarding the scheduling of treatment sessions. I outline relevant information from the literature and describe Perceptual Control Theory as the theoretical basis of this work. The implications and limitations of the data are discussed as well as suggestions for future research. The data are interpreted as preliminary evidence that patients can take responsibility for decisions made during psychological treatment programs. Carey, T. A. (2006). Estimating treatment duration in primary care. Journal of Public Mental Health, 5(3), 23-28.Carey, T. A. (2013). Mental health: Integration is the key to the revolution. The Lancet, 382, 26 October 2013, 1403-1404. Mental health problems are increasing in society. To effectively deal with these problems it is imperative that appropriate treatments are delivered. Some evidence suggests that the design of many treatments is longer than patients attend treatment for. The aim of this study was to estimate the average length of treatment for patients referred to the adult specialty of a large clinical psychology department. A stratified sampling strategy was chosen to obtain an unbiased and precise estimator of the average treatment length for the population of patients whose files had been closed in one calendar year (n = 3021). A pilot study was undertaken to estimate the sample size needed and the variances for each of the strata selected. The main study was then conducted using the information from the pilot study. From data obtained in the pilot study the figure of 77 was calculated as an appropriate sample size. The stratified sampling mean estimator for the population mean was 3.9 appointments with a 95% confidence interval of (3.2, 4.6). The average treatment length of 3.9 appointments is smaller than many treatments offered to patients. Standard treatments are often planned to be more than ten appointments. These results suggest that many patients are failing to receive the full treatment planned by mental health professionals. Perhaps more treatments need to be delivered over a small number of appointments. Stratified sampling could be used to estimate treatment duration in particular contexts thereby allowing treatments to be designed to meet local needs. Carey, T. A. (2006). The Method of Levels: How to do psychotherapy without getting in the way. 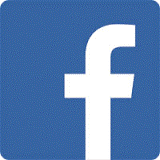 Hayward, CA: Living Control Systems Publishing. I’d like this book to be a resource for anybody who is interested in improving their effectiveness in psychotherapy by learning MOL. I’ve not written this book to persuade you that you should become an MOL psychotherapist, rather, I’ve written it to help you improve your practices on the assumption that you’ve already decided you want to get better at MOLing. If you still need convincing about the value of MOL, this book might not provide you with what you require. Carey, T. A., Carey, M., Stalker, K., Mullan, R. J., Murray, L., & Spratt, M. (2007). Psychological change from the inside looking out: A qualitative investigation. Counselling and Psychotherapy Research, 7(3), 178-185. Regardless of the type of psychotherapy considered, change is the predominant goal. Psychotherapies differ in their explanations of how change occurs and what it is that needs to change, but pursuing change of something in some way is common. Psychotherapeutic methods, therefore, should be enhanced as knowledge of the change process improves. Furthermore, improving our knowledge about general principles of change may be of greater benefit to psychotherapy than increased knowledge about any particular change technique. This study addresses the questions ‘What is psychological change?’ and ‘How does it occur?’ from patients’ viewpoints. Answers to these questions were sought using qualitative methodology. At the end of treatment, 27 people were interviewed about their experience of change. Interviews were taped and transcripts analysed using the Framework approach. Change occurred across three domains: feelings, thoughts and actions. Participants described change as both a gradual process and an identifiable moment. In relation to how change occurred, six themes emerged: motivation and readiness, perceived aspects of self, tools and strategies, learning, interaction with the therapist and the relief of talking. Change was experienced in similar ways irrespective of type of treatment. Current stage models of change may not be suited to the explanations of change provided by the participants of this study; the process of insight through reorganization might be a more accurate explanation. Understanding change as a process involving sudden and gradual elements rather than a process occurring through sequential stages could inform the development of more efficacious psychological treatments. Carey, T. A., & Kemp, K. (2007). Self selecting first appointments: A replication and consideration of the implications for patient-centred care. Clinical Psychology Forum, 178, 33-36. A system of self-selecting first appointments resulted in reduced DNAs when compared with a system of allocated first appointments replicating Reid and McIvor’s (2005) results. Carey, T. A., & Mullan, R. J. (2007). Patients taking the lead: A naturalistic investigation of a patient led approach to treatment in primary care. Counselling Psychology Quarterly, 20(1), 27-40. In an earlier paper (Carey, T. A. (2005). Can patients specify treatment parameters? A preliminary investigation. Clinical Psychology and Psychotherapy, 12, 326-335) an approach to treatment delivery was examined in which the duration and frequency of the appointments was scheduled by patients. Results of this approach were encouraging but the generalizability of the results was constrained because only one clinician trialed the approach and no standardized assessment measures were used. In the present study there are two clinicians involved and the Depression Anxiety Stress Scale (DASS) was used. The approach was introduced at one GP practice and monitored over a six-month period. Results suggest that this approach might be an effective way of promoting patient access to, and involvement in, service delivery as well as reducing waiting times. Carey, T. A., Mullan, R. J., & Carey, M. (2007). Patient lead treatment: An idea whose time has come. Clinical Psychology Forum, 177, 9-12. We held focus group discussions in psychology departments around Scotland to gauge the feasibility of conducting a large-scale trial of patient lead treatment. Carey, T. A. (2008). Conflict, as the Achilles heel of perceptual control, offers a unifying approach to the formulation of psychological problems. Counselling Psychology Review, 23(4), 5-16. The formulation of psychological problems is an integral part of psychological treatment. Since perceptual control theory provides one explanation of how problem-free living occurs it also suggests the form that problems might take when satisfactory day-to-day living is disrupted. In this article I briefly outlineperceptual control theory and explain how psychological difficulties are conceptualised with this theory. Next I offer some examples from clinical practice which illustrate the problem formulation of perceptual control theory. Finally I explore the implications of this formulation approach for people who assist others in the amelioration of psychological troubles. This is a book for practical people, not theoreticians. Yet as a theoretician, I can say that it is one of the best expositions of Perceptual Control Theory that you are likely to find. When Dr. Timothy Carey asked me to write a foreword, I read the manuscript and immediately had a problem. The problem is that if you push on a control system, it will push back, even if you’re aiding its efforts (if you help too much it relaxes or perversely reverses its efforts). So if I were to reveal my full enthusiasm for this remarkable tutorial on PCT and the Method of Levels, the most likely result in the reader would be just the opposite of what I want. I will therefore refrain from gushing and hyperbole, and merely say that there is no sentence in this book that is there accidentally, or that can be skipped without losing something. It will reward a second reading, and a third. And when you finish it, you will be well on the way to understanding this method, to the point where you can consider trying it with a friend yourself, in either role. Transdiagnostic approaches to psychological treatment offer the opportunity to consider common processes across seemingly disparate disorders. Although psychological distress exhibits dramatic variability across individuals, it is possible to discern common underlying processes. One of these processes is internal perceptual conflict. Perceptual Control Theory (PCT) provides an explanation for the manifestation and also the resolution of this conflict. 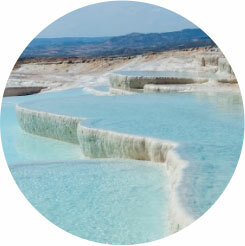 A therapeutic approach called the Method of Levels (MOL) has been developed from PCT principles. MOL promotes the reorganization of conflict by shifting an individual’s awareness to meta, or more fundamental, goal states. This paper explains PCT and MOL and concludes by describing early empirical evidence for MOL. An investigation of the method of levels (MOL) was undertaken. Based on the principles of perceptual control theory (PCT), MOL is a way of helping people to reduce psychological distress. MOL assumes that psychological distress results when people are unable to control experiences that are important to them. The approach was implemented over six months in a large urban GP practice. Patients attended for between one and six sessions. Patients who attended for more than one session demonstrated significant reductions in scores of symptomatology on a standardized questionnaire. Effect sizes of these differences were relatively large. There appeared to be no relationship between the number of sessions a patient attended and the amount of reduction in symptomatology that was recorded. Similarly, there was no relationship between the number of sessions a patient attended and their recorded level of symptomatology at their first appointment. Although the study has important limitations we suggest that these findings might offer new directions for future research and might provide a way of unifying the specific and common factors as well as understanding the Dodo Bird effect. Carey, T. A. (2009). Dancing with distress: Helping people transform psychological troubles with the Method of Levels two step. The Cognitive Behaviour Therapist, 2, 167-177. The Method of Levels (MOL) shares many similarities with other therapeutic approaches and is perhaps most distinguishable by what it does not include rather than what it does use in sessions. MOL has two basic steps which are followed in an iterative procedure until the patient/client experiences a change or shift in their understanding and experience of a problem. This article explains the steps and uses examples and suggestions for practice to promote understanding. Carey, T. A., & Mansell, W. (2009). Show us a behaviour without cognition and we’ll show you a rock rolling down a hill. The Cognitive Behaviour Therapist, 2, 123-133. Dismantling studies are used in psychotherapy in order to understand the important components of treatment. Typically, this has occurred so that people could understand the unique contributions provided by cognitive versus behavioural techniques. Recently, mindfulness-based approaches have apparently added a third dimension to the dismantling enterprise. Dismantling is seen as an important way of understanding the change process in psychotherapy and, therefore, clarifying how we might most effectively promote change. The way in which an entity is dismantled, however, exposes assumptions about the nature of the entity and its organization. In this paper we argue that dismantling studies in psychotherapy have perhaps generated more confusion than consensus and have provided little practical benefit for clinicians. We suggest that the phenomenon of control might provide a unifying perspective from which to approach the integration of behavioural, cognitive, and mindfulness approaches. In one sense all these seemingly different approaches are doing the same thing and it is this ‘thing’ we highlight in this paper. Carey, T. A., & Spratt, M. B. (2009). When is enough enough? Structuring the organisation of treatment to maximise patient choice and control. The Cognitive Behaviour Therapist, 2, 211-226. The psychological treatment offered to clients is important. However, an equally important consideration may be the way the treatment is delivered. Reducing waiting lists and improving access to services are priorities for many health services. So is increasing patient control over their own health-care outcomes. While waiting times and access to services have typically been addressed by increasing the numbers of clinicians available, our work suggests that a strategy of providing patients with the ability to determine the frequency and duration of their treatment may be an option that is simpler, more effective, and financially more attractive. After describing policy and ethical guidelines as well as empirical and theoretical information, we provide data from our work in one GP practice about the improvements in waiting times and access to services that occurred when we adopted an approach that allowed patients rather than clinicians to decide how the organization of treatment would occur. There seem to be many benefits to this approach; however, it may also raise dilemmas for clinicians when patients’ preferences differ from their own. Ultimately, these conundrums can only be reconciled by the individual clinicians based on their attitudes to mental health problems and service provision. Mansell, W., & Carey, T. A. (2009). A century of psychology and psychotherapy: Is an understanding of control the missing link between theory, research and practice? Psychology and Psychotherapy: Theory, Research, and Practice, 82, 337-353. ‘Control’ can be defined as the maintenance of a variable within fixed limits despite external disturbances. There is substantial evidence that the experience of loss of control characterizes psychological disorders. Therefore, we take a historical perspective on how modern psychology as a science has attempted to explain the process of control over the last century, beginning with William James’s (1890) proposal of the ‘pursuance of fixed ends by variable means’ as the essence of mentality. We conclude that, after a long diversion from this perspective during the 20th century, recent approaches within psychology are again considering the importance of understanding control. We propose that Perceptual Control Theory (PCT) presents the most focused and applicable account, as characterized by its relevance for psychological therapy in the form of the Method of Levels (MOL). This is a therapeutic technique directed at guiding the client’s awareness to the higher level (or meta-) control processes that maintain their current problem of conflict between their personal goals. We cover the emerging evidence base for PCT and MOL and propose that an understanding of control through PCT has the capacity to link theory, research, and practice within the field of psychotherapy. Spratt, C. G., & Carey, T. A. (2009). Can a control model approach assist case formulation in psychotherapy? The Cognitive Behaviour Therapist, 2, 197-210. This paper looks at issues regarding case formulation in psychotherapy. Case formulation is well recognized as being helpful in the conceptualizing of psychological problems and as a useful tool in the practice of cognitive therapy. Control, as opposed to behaviour, is increasingly being seen as that human process most relevant to psychopathology. We look at the diagnosis and treatment of a small number of people, treated in a naturalistic setting, who were selected without any specific criteria other than being people whose problems were treated using the Method of Levels, a form of cognitive therapy based on the principles of Perceptual Control Theory, and who completed both pre- and post-treatment questionnaires. We then consider how the problems these people presented with, and their treatment, might be formulated as a result of taking this approach. Carey, T. A. (2010). Will you follow while they lead? Introducing a patient-led approach to low intensity CBT interventions. In J. Bennett-Levy et al. (Eds. ), Oxford guide to low intensity CBT interventions (pp. 331-8). Oxford: Oxford University Press. How long should psychological treatments last and how frequently should treatment appointments be scheduled? The number of appointments and how often they are scheduled are almost invisible aspects of service provision, but the way in which these decisions are made can have a major impact on access to services. The evidence-based movement is here to stay. Typically, however, the evidence-base focuses on what therapy is provided not how this therapy is delivered. This chapter addresses the issue of how therapy is delivered, and suggests that patient-led treatment is a low intensity (LI) approach, which can dramatically improve the access, efficiency, and effectiveness of mental health services. Carey, T. A. (2011). As you like it: Adopting a patient-led approach to the issue of treatment length. Journal of Public Mental Health, 10(1), 6-16. Purpose – The purpose of this paper is to look at the design and delivery of psychological treatments offered by the UK National Health Service (NHS) and in particular, ask how much treatment is enough, or who should decide when the patient has had enough treatment. Design/methodology/approach – The data reported in this section were coffected during routine clinical practice in the NHS in Scotland. Findings – It was found that treatments could be redesigned so that important therapeutic information is provided in time frames that match patient preferences, leading to more efficient and effective services. Originality/value – Clinicians, predominantly, determine the design and delivery of treatment programmes, whereas the paper suggests that programmes should be focused on the patient and their needs. Even though the effectiveness of psychotherapy is generally acknowledged, researchers are yet to agree on a plausible explanation for this effectiveness or on possible mechanisms of change that are activated by psychotherapy. To enhance developments in these areas some researchers have called for a focus on treatment principles rather than treatment techniques. In this respect, the technique of exposure is instructive. Despite its common use with anxiety disorders and the successful outcomes it produces, it has only recently been considered as a treatment for other disorders. By focussing on the underlying principles of exposure it is possible to consider exposure as a transdiagnostic component of successful psychotherapies. Understanding exposure from the perspective of Perceptual Control Theory (PCT) enables the identification of a functional, rather than a conceptual or statistical, mechanism of change. Functionally, exposure can be understood as an essential precursor to the internal reorganization that is necessary for the amelioration of psychological distress. PCT suggests a more considered and widespread use of exposure in psychotherapy as a way of improving both the efficiency and the effectiveness of the treatments offered. Despite the proliferation of psychotherapies in recent years there has not been a commensurate growth in our understanding of the effective ingredients of treatment. It seems unlikely that there are multitudes of different mechanisms and processes through which psychological distress is resolved and that each of these different psychotherapies utilises a distinct item from the collection. In fact, the spawning of hundreds of different psychotherapies is perhaps the most telling sign that there may still be much work to do before the important principles of treatment are described and fundamental mechanisms of change are identified. Could a technique as mundane as exposure hold the key to effective psychotherapy? For psychotherapy, is there just one road leading to Rome but a plethora of ways to travel that road? Gianakis, M., & Carey, T. A. (2011). An interview study investigating experiences of psychological change without psychotherapy. Psychology and Psychotherapy: Theory, Research, and Practice, 84, 442-457. Objectives. Given that most people who experience psychological distress resolve this distress without the assistance of psychotherapy, the study sought to increase our understanding of naturally occurring change including the facilitators of this change. Design. The study sought to replicate and extend earlier work in this area. The design involved recruiting participants who had experienced some form of psychological distress and had resolved this distress without accessing psychotherapy services. Methods. Qualitative methods were used for this study because the lived experience of the participants was of interest. Semi-structured interviews were used following a pro forma developed in earlier work. Interpretive Phenomenological Analysis was the analytical method adopted for this study to identify themes and patterns in the transcripts of the interviews of the participants. Results. Data analysis identified the themes of identity, connection, threshold, desire to change, change as a sudden and gradual process, and thinking process. An unexpected finding was the subjectivity associated with deciding whether or not a problem had actually resolved. Conclusions. The results are discussed in terms of their implications for clinical practice including the apparent importance of people reaching an emotional threshold prior to change. A sense of identity also appears to be important in change experiences. Evidence clearly suggests that the therapeutic relationship is important to successful outcomes in psychotherapy. It is less clear as to why this might be the case. Throughout the literature, various factors such as warmth, empathy, compassion, unconditional positive regard, and openness are identified as key. The way in which factors such as warmth and empathy bring about an amelioration of psychological distress, however, is not entirely obvious. We suggest that one possible mechanism through which these factors become important is by helping to create an environment where clients can examine their problems freely. Furthermore, we propose that when the therapeutic relationship is therapeutic, clients feel comfortable to consider whatever comes into their mind; with any filtering or evaluating happening after the ideas have been expressed, and not before. Psychological processes identified as maintaining psychological distress (e.g. thought suppression, avoidance, rumination) block this capacity. Our suggestion is that as internal experiences are being examined, the client has an opportunity to become aware of facets of the problem that were previously unattended to; and to continue this process outside therapy. Through this awareness raising process the client’s problem can be reorganized via intrinsic learning processes to achieve a more contented state of mind. Cognitive Behavioural Therapy (CBT) is the treatment of choice for most mental health problems. Each different problem is usually treated by a different model of CBT. Yet evidence tells us that the same processes are responsible for long term distress in us all. This handy manual draws on evidence and theory to provide the key principles to aid change and recovery. The transdiagnostic approach is supported by a wealth of evidence that processes such as worry, emotion suppression, self-criticism and avoidance maintain distress across psychological disorders. Perceptual Control Theory (PCT) explains all of these processes as forms of ‘inflexible control’, and Method of Levels Therapy (MOL) helps people to let go of these habits. The principles and techniques of MOL are clearly and practically described for clinicians to offer a transdiagnostic CBT that is tailor-made to the goals of each client. This novel volume will be essential reading for novice and experienced CBT therapists, as well as counsellors and psychotherapists. Its accessible explanation of Perceptual Control Theory and its application to real world problems also makes a useful resource for undergraduates, graduates and researchers in psychology. Carey, T. A. (2013). Mental health: Integration is the key to the revolution. The Lancet, 382, 26 October 2013, 1403-1404.
mental health burden of disease. Carey, T. A. (2013). The problem with the DSM-5 is the DSM not the 5. Australasian Psychiatry, 21, 409. Disorders (DSM-5), perhaps more than any other, has generated a storm of controversy. This unprecedented reaction to the proposed changes to the DSM has curtailed some modifications while leaving others unaffected. One of the main arguments against the latest version of the DSM has been its expansion of categories and the potential increased medicalization of routine human experience. While arguments such as this are important, a more fundamental issue has been given much less attention. It is the DSM system of nosology that is critically flawed, rather than the specifics of any of its categories. Carey, T. A., Tai, S. J., & Stiles, W. B. (2013). Effective and efficient: Using patient-led appointment scheduling in routine mental health practice in remote Australia. Professional Psychology: Research and Practice, 44, 405-414. Patient-led appointment scheduling is a form of responsive regulation in which patients schedule their own psychotherapy appointments within the constraints of available resources. Of 92 patients referred to a clinical psychology clinic in the public mental health service of a remote country town in Australia, 51 attended more than 1 appointment (M = 3.6; median = 3; range = 2–11). The average number of missed and cancelled appointments was between 0 and 1.1. As compared with reported results of other practice-based studies, this approach to treatment scheduling was equivalently effective (in terms of effect size) and substantially more efficient (in terms of effect size achieved per session attended). Patient-led regulation of treatment parameters holds promise in a context of heavy demands and limited resources in mental health services. Mansell, W., & Carey, T. A. (2013). Dissociation: Perceptual Control Theory as an integrative framework for clinical interventions. In F. Kennedy, H. Kennerly, and D. Pearson (eds. ), Cognitive behavioural approaches to the understanding and treatment of dissociation (pp. 221-235). London: Routledge. how, and why, these phenomena would be significant problems. Alsawy, S., Mansell, W., Carey, T. A., McEvoy, P., & Tai, S. J. (2014). Science and practice of transdiagnostic CBT: A Perceptual Control Theory (PCT) approach. International Journal of Cognitive Therapy, 7, 334-359.
and directions for future developments. Although the biopsychosocial model has been a popular topic of discussion for over four decades it has not had the traction in fields of research that might be expected of such an intuitively appealing idea. One reason for this might be the absence of an identified mechanism or a functional architecture that is authentically biopsychosocial. What is needed is a robust mechanism that is equally important to biochemical processes as it is to psychological and social processes. Negative feedback may be the mechanism that is required. Negative feedback has been implicated in the regulation of neurotransmitters as well as important psychological and social processes such as emotional regulation and the relationship between a psychotherapist and a client. Moreover, negative feedback is purported to also govern the activity of all other organisms as well as humans. Perceptual Control Theory (PCT) describes the way in which negative feedback establishes control at increasing levels of perceptual complexity. Thus, PCT may be the first biopsychosocial model to be articulated in functional terms. In this paper we outline the working model of PCT and explain how PCT provides an embodied hierarchical neural architecture that utilizes negative feedback to control physiological, psychological, and social variables. PCT has major implications for both research and practice and, importantly, provides a guide by which fields of research that are currently separated may be integrated to bring about substantial progress in understanding the way in which the brain alters, and is altered by, its behavioral and environmental context. Carey, T. A., Mansell, W., Tai, S. J., & Turkington, D. (2014). Conflicted control systems: The neural architecture of trauma. Lancet Psychiatry, 1, 316-318.
they are embedded is even more crucial. To achieve the improvements advocated by Emily Holmes and colleagues for psychological treatments (Nature 511, 287–289; 2014), researchers need to conceptually link studies of specific psychiatric disorders with fundamental processes that are shared by different disorders. A review of the literature on psychotherapy suggests that improvements in effectiveness, efficiency and accessibility have been hampered by a lack of understanding of how psychotherapy works. Central to gaining such understanding is an accurate description of the change process that occurs when someone solves a psychological problem. We describe the Perceptual Control Theory (PCT) model of human functioning, which can be used to understand the nature of psychological problems and how they are solved. PCT suggests that problems can be broadly grouped into two categories: those that can be solved using existing skills and those that require the generation of new skills. In general, psychological problems belong in the second category. PCT describes a fundamental form of learning in which existing structures and systems are reorganized to create new skills, perspective and insights. Psychotherapy based on PCT is aimed at directing reorganization to the source of the problem. Randomized controlled trials (RCTs) are currently the dominant methodology for evaluating psychological treatments. They are widely regarded as the gold standard, and in the current climate, it is unlikely that any particular psychotherapy would be considered evidence-based unless it had been subjected to at least one, and usually more, RCTs. Despite the esteem within which they are held, RCTs have serious shortcomings. 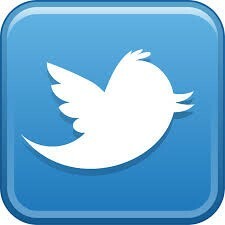 They are the methodology of choice for answering some questions but are not well suited for answering others. In particular, they seem poorly suited for answering questions related to why therapies work in some situations and not in others and how therapies work in general. Ironically, the questions that RCTs cannot answer are the questions that are of most interest to clinicians and of most benefit to patients. In this paper, we review some of the shortcomings of RCTs and suggest a number of other approaches.With a more nuanced understanding of the strengths and weaknesses of RCTs and a greater awareness of other research strategies, we might begin to develop a more realistic and precise understanding of which treatment options would be most effective for particular clients with different problems and in different circumstances. The field of psychopathology needs a paradigm shift to revitalise its research methodology and translational practice. We describe Darwin’s transformation of biology and its implications for science and culture, and we infer the implications of an analogous approach to psychopathology. Darwin challenged the assumptions of the biological classification system with compelling evidence to support a quantifiable, mechanistic theory of change across all life. Specifically, he showed that species were changeable, that individuals showed substantial variation in their features, and that these features were functional adaptations to the environment. Similarly, there is substantial evidence of continuous change, shared symptoms and functionality across the categories of psychiatric classification. Our novel research methodology, inspired by perceptual control theory, include both qualitative and quantitative methods, and entail the study of universal processes within heterogeneous samples and studying dynamic processes prospectively within individual cases, drawing direct analogies with evolutionary dynamic systems (e.g. trade-offs, speciation). Carey, T. A. (2015). Method of Levels. In E. S. Neukrug (ed. ), The SAGE Encyclopedia of Theory in Counseling and Psychotherapy (pp. 647-649). London: Sage. more contented and satisfying way to live. Carey, T. A., Mansell, W., & Tai, S. J. (2015). Principles-based counselling and psychotherapy: A Method of Levels approach. London: Routledge. Principles-Based Counselling and Psychotherapy promotes a Method of Levels (MOL) approach to counselling and psychotherapy. Using clinical examples and vignettes to help practitioners implement a principles-based approach, this book describes three fundamental principles for effective therapeutic practice and their clinical implications. The first chapter of the book provides a rationale for the principles-based approach. The second chapter describes the three principles of control, conflict, and reorganisation and how they relate to each other from within a robust theory of physical and psychological functioning. The remainder of the book covers important aspects of psychological treatment such as the therapeutic relationship, appointment scheduling, and the change process from the application of these three principles. Mansell, W., & Carey, T. A. (2015). A perceptual control revolution? The Psychologist, 28(11), 896-899. William T. Powers’ perceptual control theory claims to offer principles applicable to the behaviour of all living things, yet it has received only modest attention from the behavioural sciences. Moreover, the theory describes the architecture required to model purposeful behaviour with mathematical models and robotic systems. How can a single theory be applied to diverse fields such as human performance, robotics, neuroscience, animal behaviour, sociology and mental health? Why does it pose a challenge to existing approaches? Can the search for ‘causes’ of behaviour across these domains be replaced by a single, universal property of organisms: action as the control of sensory input? Marken, R. S., & Carey, T. A. (2015). 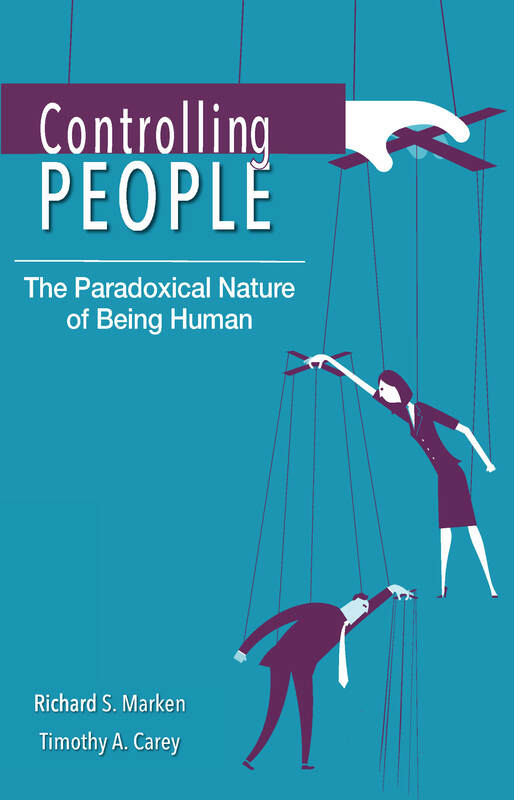 Controlling People: The paradoxical nature of being human. Brisbane: Australian Academic Press. We are all controlling people. In fact our feelings of wellbeing depend on staying in control. Just as when we drive a car, we must stay in control in everyday life in order to keep the things we care about going in the right direction. Yet this natural controlling behavior is sometimes the very reason we end up losing control. This happens when we try to control other people as well as when we try to control ourselves. Based on Perceptual Control Theory (PCT), this entertaining and enlightening book by psychologists Richard S. Marken and Timothy A. Carey explores the paradox of why we often lose control by trying to be in control and why our controlling nature makes it difficult to stop this self-defeating behavior. They show that understanding PCT opens the window to understanding and learning about ourselves as controlling people and equips us to lead more effective and satisfying lives. Carey, T. A. (2016). Health is control. Annals of Behavioural Science, 2(1), 13.
unhealthy cholesterol levels, for example, 13 million then 36 million then 40 million Americans were considered to be in need of treatment. Carey, T. A. (2016). Beyond Patient-Centered Care: Enhancing the Patient Experience in Mental Health Services through Patient-Perspective Care. Patient Experience Journal, 3(2), 46-49. Delivering mental health services as patient-centered care has been an international priority for more than 50 years. Despite its longevity there is still not widespread agreement regarding how it should be defined or how it should guide the delivery of services. Generally, though, prioritizing the patient’s values and preferences seem to be at the core of this particular approach. It is not clear, however, that services attend to patient values and preferences as closely as they should. Terms such as “treatment resistant” and “noncompliant” seem to belie an attitude where the therapist’s opinion is privileged rather than the patients. To improve the effectiveness and efficiency of mental health services a move from patient-centered care to patient-perspective care is recommended. An attitude of patient perspective care would require service providers recognizing that help can only ever be defined by the helpee rather than the helper. A patient perspective service that was structure around the preferences and perspectives of patients might finally help to end the long-term suffering of many people who experience mental health problems. the findings from research to practice has not been straightforward. Mental health problems present an increasing global disease burden making the development of effective and efficient psychological treatments an urgent public health priority. Despite the continued proliferation of treatments and large numbers of randomized controlled trials (RCTs), evidence suggests that pre-post effect sizes have been decreasing over time not increasing. Promoting RCTs as a gold standard of evidence has not been a useful strategy for advancing progress in the development of increasingly effective and efficient psychological treatments and has, in fact, created a divide between research and practice in professional psychology. To close this divide, other methodologies are needed that can assist in the rigorous development and evaluation of treatments in routine clinical practice. We outline some of the problems with using RCTs as the sole means of generating evidence for treatment effectiveness and efficiency and we use the development and evaluation of a transdiagnostic cognitive therapy to illustrate an alternative way of accumulating evidence through a much closer connection between research and practice. Ultimately, including other methodologies alongside RCTs that combine research and practice more seamlessly, will produce treatments of greater effectiveness and efficiency and help to reduce the global burden of mental health problems. The Method of Levels: How to do psychotherapy without getting in the way. Hayward, CA: Living Control Systems Publishing. This book marked the beginning of MOL as a therapeutic treatment. It explains both the rationale behind MOL as well as the practice of MOL. The first half of the book outlines the "why" of MOL and the second half describes the "how". MOL was developed in routine clinical practice with the guidance and mentoring of Bill Powers so it's a practical and easy to understand guide to becoming a skilled MOL clinician. Hold That Thought! Two steps to effective counselling and psychotherapy with the Method of Levels. Chapel Hill, NC: new view Publications. An accessible and easy to read introduction to MOL for busy clinicians. Written in a light-hearted style it covers the basics of MOL and PCT with simple exercises to enhance understanding. This short volume will provide a valuable introduction to the practice of MOL. Mansell, W., Carey, T. A., & Tai, S. J. (2012). A Transdiagnostic Approach to CBT Using Method of Levels Therapy: Distinctive features. This book has been published in the prestigious Distinctive Features Series by Routledge. It is divided into 30 short chapters with the first 15 chapters covering the theory underpinning MOL (PCT) and the next 15 chapters explaining how to go about doing MOL. There are rating scales included at the back of the book to help clinicians continue to improve their practice of MOL. Carey, T. A., Mansell, W., & Tai, S. J. (2015). 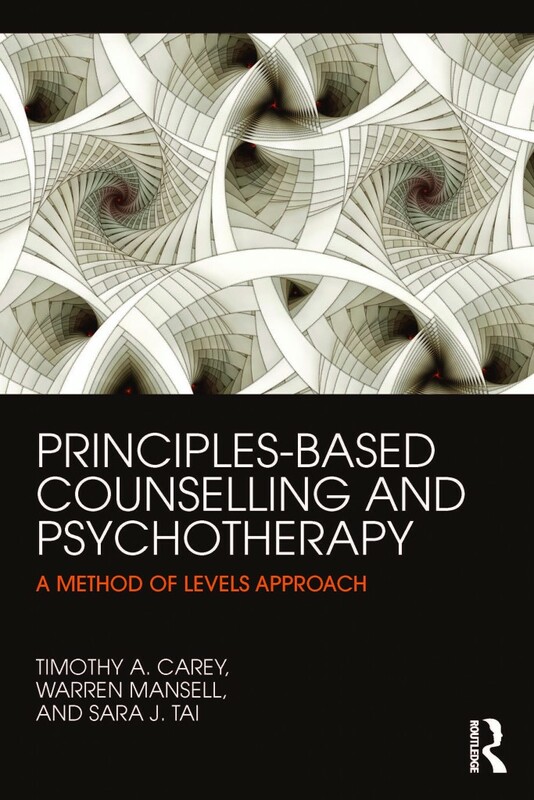 Principles-Based Counselling and Psychotherapy: A Method of Levels approach. Using clinical examples and vignettes to help practitioners implement a principles-based approach, this book describes three fundamental principles for effective therapeutic practice and their clinical implications. The first chapter of the book provides a rationale for the principles-based approach. The second chapter describes the three principles of control, conflict, and reorganisation and how they relate to each other from within a robust theory of physical and psychological functioning. The remainder of the book covers important aspects of psychological treatment such as the therapeutic relationship, appointment scheduling, and the change process from the application of these three principles. "We need to strive for a world where people control what is important to themselves while minimizing the controlling of others." We are all controlling people. In fact our feelings of wellbeing depend on staying in control. Just as when we drive a car, we must stay in control in everyday life in order to keep the things we care about going in the right direction. Yet this natural controlling behavior is sometimes the very reason we end up losing control. This happens when we try to control other people as well as when we try to control ourselves. So how do we do better? Based on Perceptual Control Theory (PCT), this entertaining and enlightening book by psychologists Richard S. Marken and Timothy A. Carey explores the paradox of why we often lose control by trying to be in control and why our controlling nature makes it difficult to stop this self-defeating behavior. They show that understanding PCT opens the window to understanding and learning about ourselves as controlling people and equips us to lead more effective and satisfying lives.